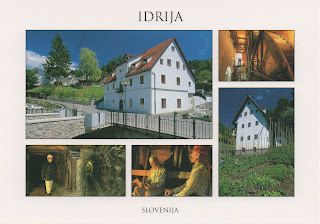 Idrija is a town in western Slovenia. (...) It is located in the traditional region of the Slovenian Littoral and is in the Gorizia Statistical Region. It is notable for its mercury mine with stores and infrastructure, as well as miners' living quarters, and a miners' theatre.